Why is Social Media Important to SEO? As you’ve probably heard, SEO has changed … and most VARs simply haven’t been keeping up. If you still think that SEO – and achieving better search results – means stuffing your website with keywords and tagging it with metadata, then let me introduce you to 2012 and something called social media. 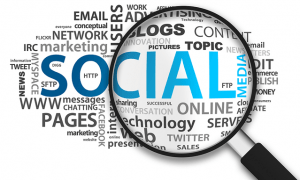 Social media is now an integral part of today’s SEO mix. It’s really difficult to rank well in search without incorporating a social component. Now more than ever, Google’s search algorithm is taking social media activity into account and looking for external validation of your website and content. And it gets those signs of external validation from people sharing, liking, and re-tweeting your content on Twitter, LinkedIn, Facebook … and now, of course, Google+. Put that together with the fact that Google search now displays “personal results” from people within your social network. So as a small business owner, you need to be connected with as many customers and prospects as possible because they’re more likely to see YOUR content/website in THEIR search results. In a nutshell, search has become social. It’s important to note that there are still important SEO techniques that help search engines (and people) more easily find your website. It’s just that these technical aspects of SEO are now a smaller piece of the puzzle and, by themselves, don’t have as much impact on your search results as they did 10 years ago … pre-social media. In a way, search is reverting back to what it was originally intended to accomplish before people figured out how to game the system with technical tricks and Black hat tactics. That is, search and SEO are once again about good content. Because good content gets read and shared (via social media), which in turn let’s Google know that it’s worthy of higher search rankings. What’s considered good content? Resources that help your customers and prospects solve a problem. Insightful articles, videos, tips and tricks, useful downloads, and unique perspective that only you – as an industry expert – can offer. Need Help Making Sense of It All? If you’re having trouble figuring out how to use social media or why your website doesn’t rank better on Google, give us a call or check out our GoogleJuice Website Audit … it’s time to put some JUICE in your MARKETING.